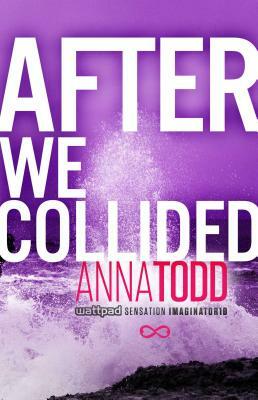 Book Two of the After series -- now newly revised and expanded, Anna Todd's After fanfiction racked up 1 billion reads online and captivated readers across the globe. Experience the Internet's most talked-about book for yourself! After a tumultuous beginning to their relationship, Tessa and Hardin were on the path to making things work. Tessa knew Hardin could be cruel, but when a bombshell revelation is dropped about the origins of their relationship -- and Hardin's mysterious past -- Tessa is beside herself. Hardin will always be…Hardin. But is he really the deep, thoughtful guy Tessa fell madly in love with despite his angry exterior -- or has he been a stranger all along? She wishes she could walk away. It's just not that easy. Not with the memory of passionate nights spent in his arms. His electric touch. His hungry kisses. Still, Tessa's not sure she can endure one more broken promise. She put so much on hold for Hardin -- school, friends, her mom, a relationship with a guy who really loved her, and now possibly even a promising new career. She needs to move forward with her life. Hardin knows he made a mistake, possibly the biggest one of his life. He's not going down without a fight. But can he change? Will he change…for love?